A few weeks ago, my oldest son and I had the chance to spend a weekend together hunting. It was a great weekend, and one that I will cherish. At 22, he is fast becoming his own man and getting ready to venture into the real world making our schedules difficult to align. During this weekend adventure, conversations roamed. It was this weekend he shared with me his intent to propose to his longtime girlfriend, one whom we all adore! I was elated at the opportunity to gain another daughter! As we talked about the responsibility of becoming a husband, one thing emerged and that was the importance of insurance and a will. I am always shocked to see how people neglect to take a half hour out of their life to write a simple will. Unfortunately one of the things I have done as a pastor is sitting with families who are struggling through death and are faced with the legal nightmare of handling the estate of an individual who did not have a will in place before they died. All it takes is a few minutes to write it down and sign it. As Alex and I discussed this, I brought up some of the provisions in my will. I also asked him if there was anything of mine he especially wanted when I died. Without hesitation he said he would love to inherit my Remington 700 .30-06. I must admit I was surprised at this request. Of all the guns I have, why this one? He said, "that is the gun I remember us hunting together with." That particular rifle is my second 'deer rifle', and my most favorite. I have taken hundreds of animals with that rifle. It is dependable, scratched and well worn. For over thirty years, I lugged that rifle into the field, over mountains and have brought to the table. Only missing a handful of times, (all my fault) and never wounding any. I have lost count on the number of optics that have sat on top of that rifle. From the very cheap to (by my standards) expensive scopes have all brought game to their demise. As I told Alex, "when I pull the trigger on this gun, something dies. Every time"
His request resonated with me for a long time. I pondered the request and my mind raced with reasons, and memories of us hunting together and me using that gun. My first 10 point buck, he was 10 years old and sitting with me. Bobcats, coyotes, mule deer, countless whitetails and pigs have all fallen at the report of that Remington 700. Two weeks later, Alex and his friend came over for me to help them dial in their guns for hunting. At the range I took the old Remington 700. "Why are you taking that to the range?" Alex asked, "I jsut want to verify that it is still dialed in." I said. We shot the Remington 700 first, and sure enough, a dead on 200 yard zero. I let Alex shoot it for the first time. He held it and looked it over. "Is this really the gun, you have hunted with my whole life?" he asked. "Yes it is." I said. Watching Alex look at the rifle, I looked at him and said, "there is no need in you waiting until I die for you to enjoy that rifle." Alex looked at me - shock on his face. "Daddy!" "I just don't think there is any reason for you to wait until I die, I would like to see you enjoy it now." "Are you giving me this gun?" Alex asked. "Yes, son. If you still want it, it is yours." The rest of the conversation is a blur. But I knew it was time to pass it on. I have other guns to use. He now has one. Admittedly, when I see the void in the cabinet, I am somewhat sad, but I am comforted in knowing that he has it, and with it, he has a part of me. Each time he ventures afield with his Remington 700, he will know I am with him. I am glad I didn't wait. I am glad I got to give it to him, instead of leaving it to him. 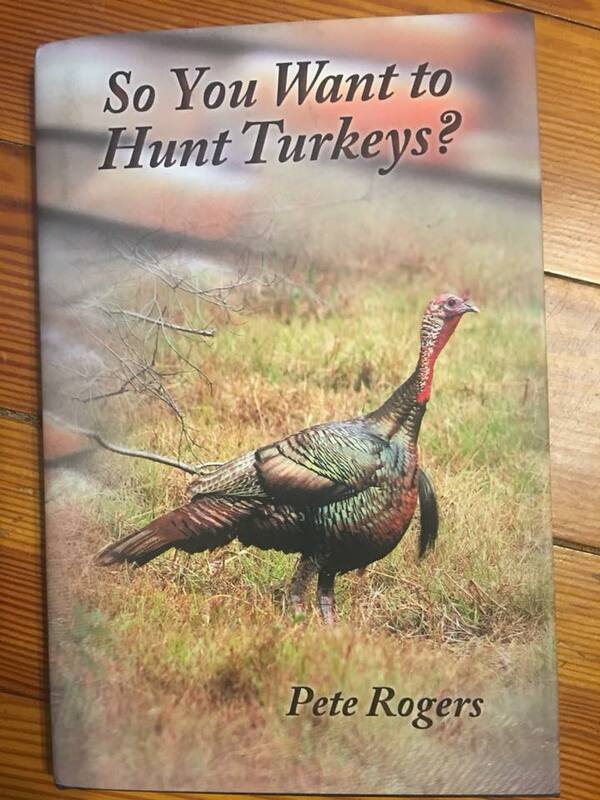 So You Want to Hunt Turkeys?